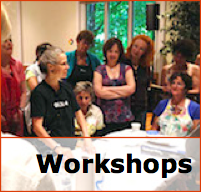 OK, I've been bragging about the workshops that I am teaching. Now I get to be a student and TAKE a workshop! 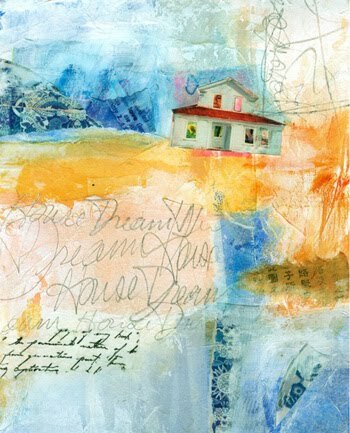 Karen Rosasco, whose work is pictured here, is teaching a workshop in Experimental Watermedia at the Art Center at Old Forge in Old Forge, NY, on July 8, 9, and 10. I can't wait! 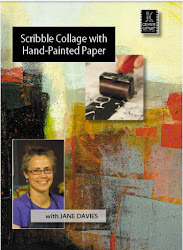 I love her work and am so looking forward to some new inspiration and instruction. The other thing that makes this so exciting for me is that Sally Clark will be taking the workshop as well. I've never met Sally, but have seen her work and love it. She is the mother of my Sweetie's best friend from college, Tim Clark, who is a furniture maker. 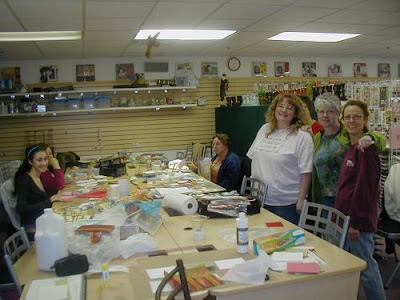 I know I will learn a lot from both Karen and Sally, and be able to bring some fresh ideas to my own workshops. I just sent out my first Constant Contact newsletter last week! I can't put a link to it on my blog unless I purchase one more service - archiving the newsletters - but it you'd like to see it, or sign up to receive it, let me know via e-mail and I will forward it. I'm posting a couple of "snapshots" of the newsletter here to give you an idea. There should be a "join my e-mail list" button on it, but I'm not sure if it actually shows up on everybody's computer. I'd love to hear comments on this, as I'll be sending out more, about once a month I think. 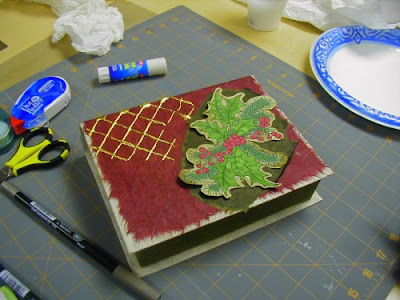 This one features my Summer Workshops, all of which information is posted on this blog and also on my web site. Thanks for checking it out! I am so excited to be teaching at The Queen's Ink in Savage, MD, in June. 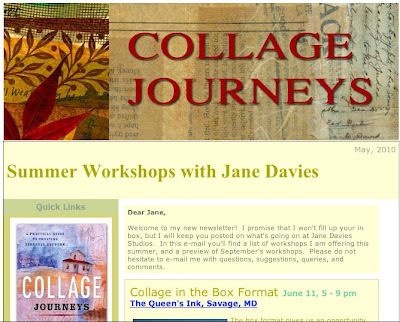 We're offering three workshops: Collage in the Box Format, Unbinding the Visual Journal, and a new workshop, Collage Layering with Paint and Tissue. Sunday, June 13th / 11 a.m. - 5 p.m. 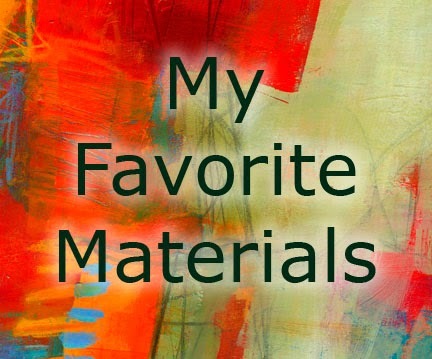 In this workshop we will discover the possibilities of creating color, texture, and image spontaneously and intuitively using primarily tissue-weight papers, paint, gesso, and drawing tools. 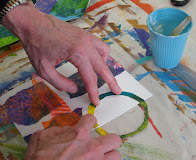 We start by creating a basic composition in tissue paper, and then build layers by brushing, rolling, sponging, stamping, and scraping paint between more tissue and collage papers. 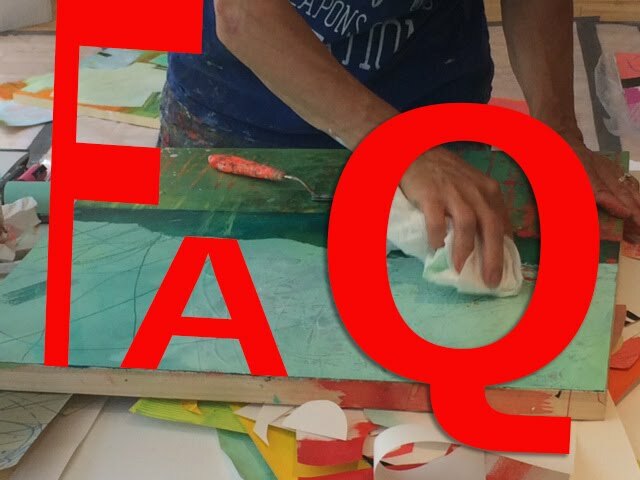 We'll also explore techniques of subtractive collage, tearing and scratching through the layers to reveal depth and complexity. 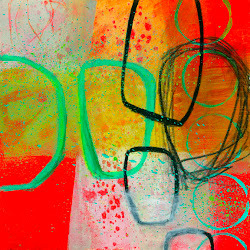 We'll use drawing and collage imagery to finish the compositions, bringing them into focus and balance. 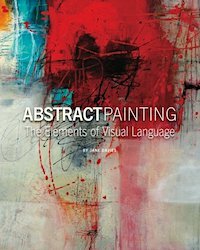 This is an approach to collage that emphasizes process and open-ended exploration rather than a particular goal. Come join the fun, and discover a new sense of freedom in your artistic endeavors! Join me for a four-day adventure in collage and mixed media at my studio in beautiful rural Rupert, Vermont. We will take some time for projects of individual interest, and the studio is open 24 hours for your use. Some materials will be provided, though I will provide a supply list as well. You will be accommodated in a beautifully renovated guest house, which is conveniently located next door to my studio. 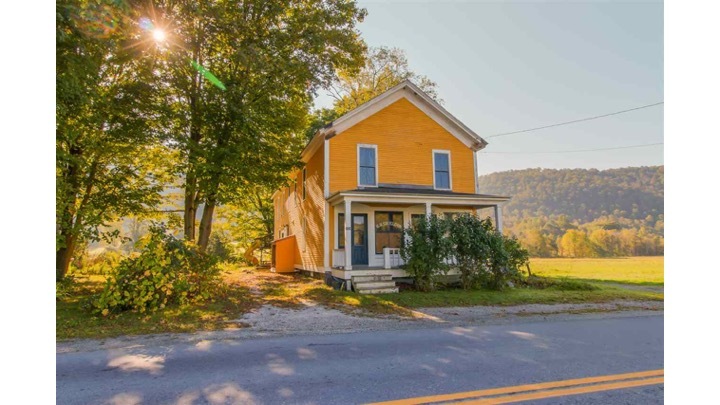 It has full kitchen facilities and two full baths, a wrap around porch, a barbeque, and water frontage (a stream runs along the back side of my studio and the guest house). I will stock the guest house with breakfast materials (locally made bread, fresh local eggs, milk, coffee, cereals, juice, etc. ), and lunch will be brought in each day, Monday – Friday. You are on your own for dinner, and I can direct you to grocery stores and restaurants. There is a general store two miles down the road which has a deli. Cost: $675, includes tuition, accommodations, breakfast, and lunch. Call or e-mail me to request more information and a registration form. Deposits due June 15. 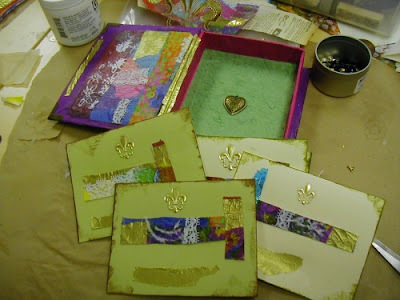 Here are a few pictures from the box and cards workshop I taught the other weekend at the Scrapbook Cupboard. Judy Shea was kind enough to take the photos and post them on her blog, so you can look there for more.